Perhaps more now than ever, smartphone manufacturers are using high-resolution displays to distinguish their products from the competition. The Samsung Galaxy Note 4 carries a 5.7-inch, 2,560 x 1,440 resolution display with 518 pixels per inch while the LG G3 features the same screen resolution on a slightly smaller 5.5-inch display for a PPI rating of 534. Neither of those, however, can stand up to Sharp’s latest smartphone display. 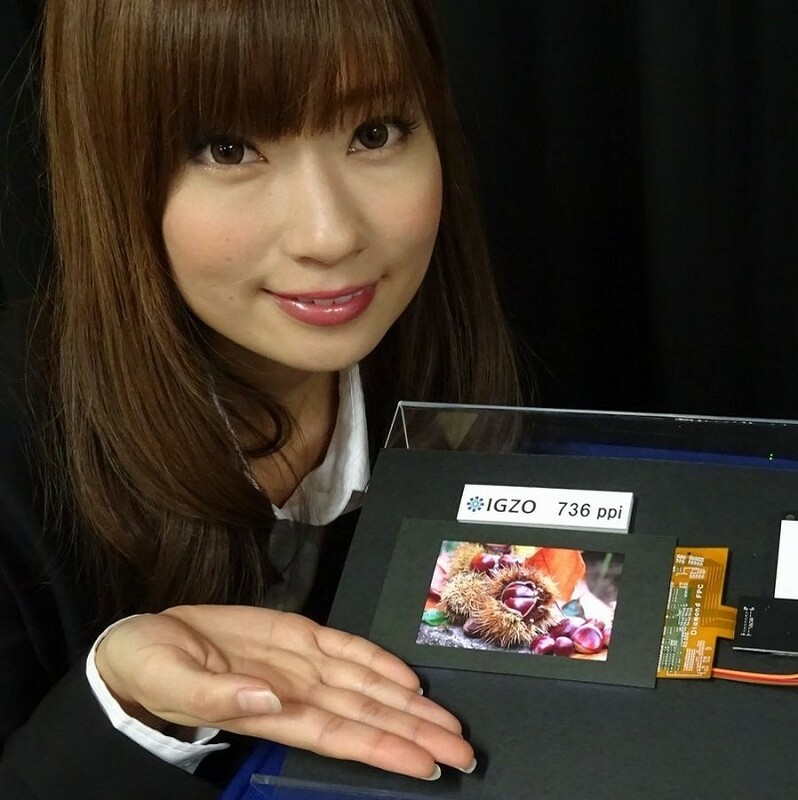 Their new panel measures just 4.1 inches diagonally but checks in at a resolution of 2,560 x 1,600. That’s good for a mind-boggling pixel density of 736 PPI. The downside of the display of course is the fact that it’s just 4.1 inches which is indeed small by today’s standards. Sure, manufacturers still put out smartphones with 4-inch screens but none of them are high-end devices and as such, none would use a premium display such as this. While its small size may limit its applications, it is precisely why it is so impressive – cramming that many pixels into such a small space isn’t easy. And while it doesn’t carry a 4K Ultra HD resolution, Sharp puts a good spin on it by claiming it is the equivalent of watching a 6-inch, 4K resolution display. The display is still a few years out as Sharp plans to release samples to manufacturing partners next year and put it into mass production sometime in 2016.